If you're trying to get that Instagram filter look in Lightroom, here's a set of premium presets that mimic Instagram's filters. Instagram's emphasis on mobile isn't always a good fit for photographers who aren't always shooting with their phone's camera. For example, while it's possible to post photos to Instagram from a desktop, they don't make it nearly as easy as it could be. 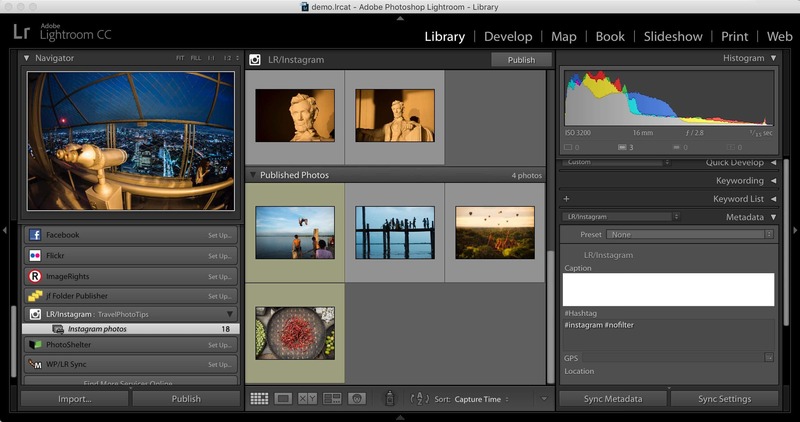 If you're using Lightroom to process your photos, you obviously have access to some very powerful processing tools. But what if you've grown to like the filters built into Instagram? Maybe you're trying to keep a particular look consistent across several photos. Or maybe you just like the look of them. One option is to make your own develop presets to emulate the same looks. It's entirely possible, but it's a pretty painstaking process that involves a lot of trial and error. A much quicker and painless way is to use presets where someone else has already done the work. The ones I've been using are the Lightgram presets. They're a selection of 23 Lightroom presets specifically designed to mimic the look of the Instagram filters, from their classic, retired filters to the current selection. It's a premium set, which means they're not free--they sell for $29 and you can get them at Lightgram's website. Obviously, different filters are going to work better with some photos than others. But here are some examples to give a general sense of how the filters look. First, here they are applied to a shot I took while kayaking through the brash ice in the high Arctic. You can find the original, unfiltered version of the photo about 2/3 of the way down the right side. Here's an underwater shot with some bright blues and pinks. As you can see, many of the filters have some pretty extreme effects on those colors. The original shot is in the middle, at top. And here's a gentle landscape shot. You can find the original, untouched version near the middle. Compatibility. 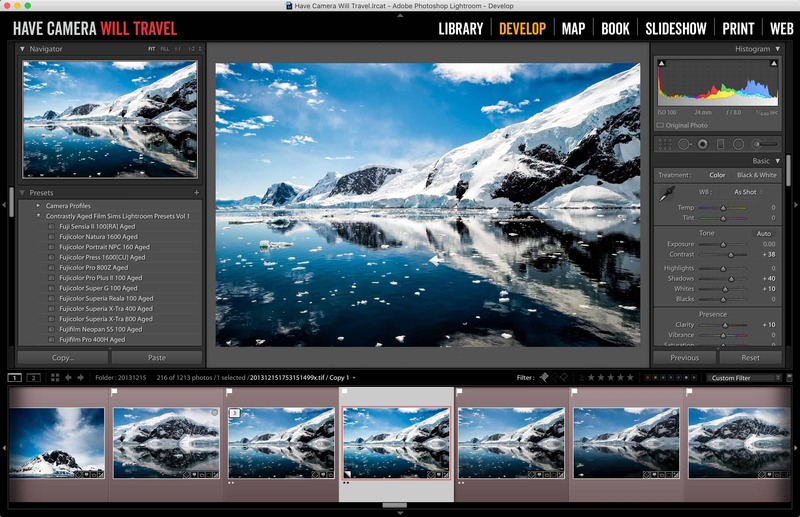 These work with Lightroom 4 and above (and now Lightroom Classic). Lightroom Process Version. 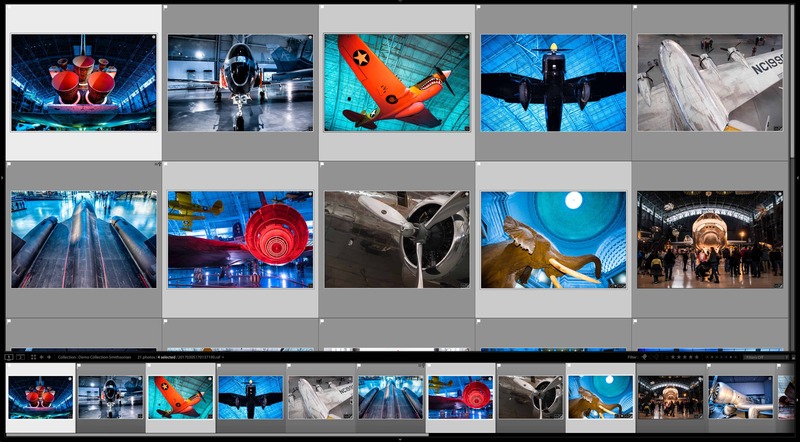 One quirk of these is that they don't all use the current process (under Camera Calibration in Lightroom). The practical effect of that is that when you use some of the older processes some of the develop tools change. For instance, if you go back to using Version 2 (2010) the basic editing panel will revert to the old-style options with recover and fill-light rather than the new highlights and shadows sliders. RAW, JPG. 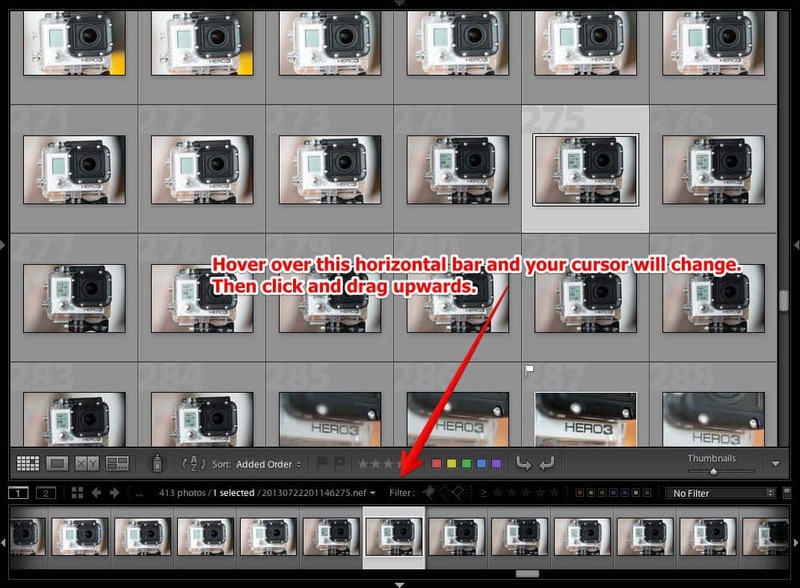 These will work with any image file format you can use in Lightroom. That includes RAW and JPG. Tweaking. As with all in-Lightroom develop presets, these can be tweaked if you like. And you can then saved the tweaked version as your own develop preset to reuse again later. Installation. They install just like any other Lightroom develop preset. Lightgram has put together this guide. You can find these Lightgram presets at Lightgram's online shop.